Found these at home and thought them worth posting. 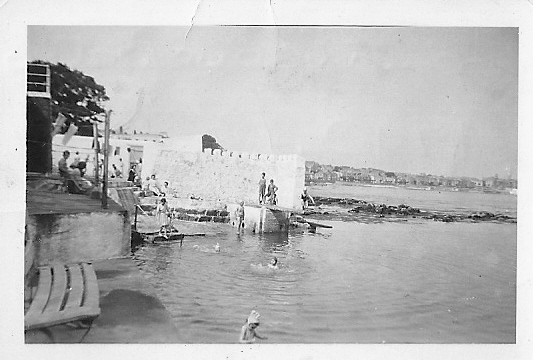 Two pictures taken at Sandycove baths near Dun Laoghaire in 1942. The Family would have been on Holiday in Dun Laoghaire at the time. The detail isn’t great (the photos were matchbox sized) but it gives an idea what the baths looked like. 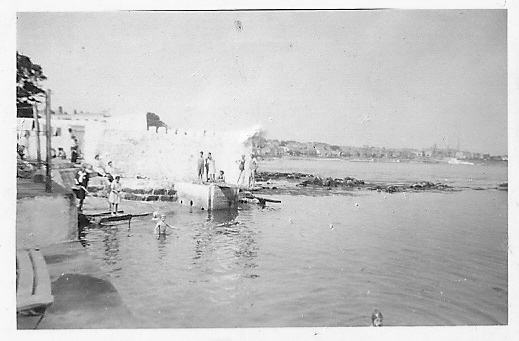 The baths closed in the early 1970s.